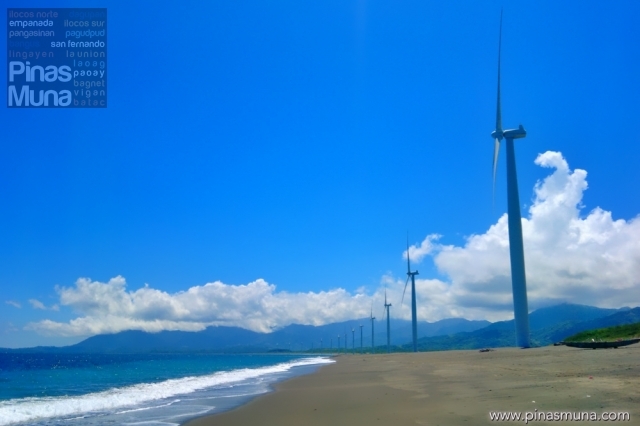 The Bangui Wind Farm of Ilocos Norte is one the main attractions in the province because of the 70 meters tall windmills lining the shore of Bangui Bay. 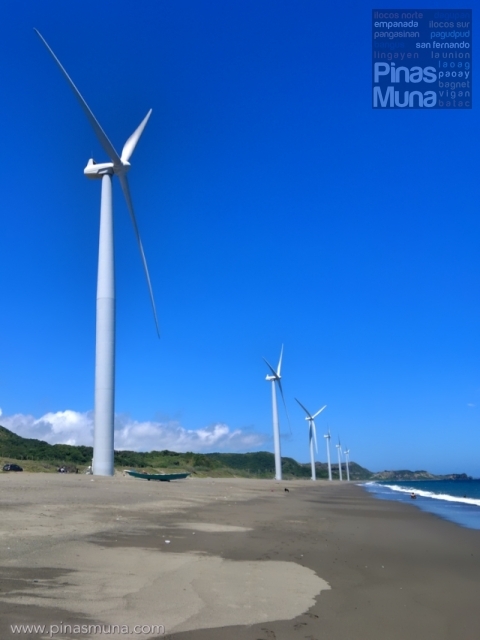 The 20 wind turbines provides 40% of the total power requirements of Ilocos Norte. In terms of scale, the Bangui Wind Farm may be small compared to its counterparts in Europe and US, but in the Philippines, it is the only existing wind farm facility which makes it a very unique attraction especially for local tourists. 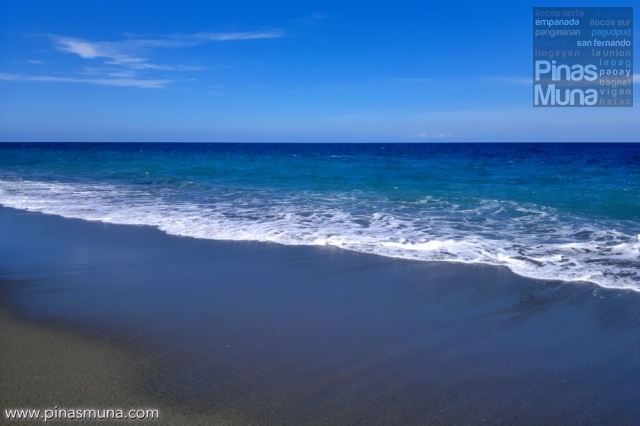 What adds more charm to this attraction is its location fronting the West Philippine Sea. On a fair weather, the waters of Bangui Bay look very enticing for swimming. The wind conditions of the area makes it also ideal for wind surfing. Standing at the food of these windmills will amaze you how massive they are. From the ground, you can hear the sound created by the blades as they slowly spin. Staring at them for minutes somehow has a hypnotizing effect, truly a very unique experience. 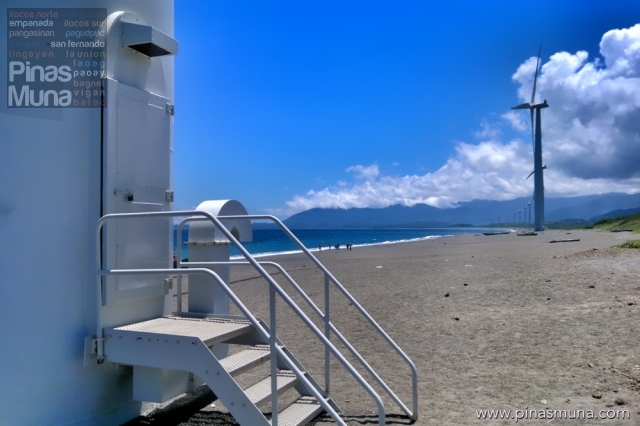 The Bangui Windmills was our first stop during our day-tour of Ilocos Norte last August 11, 2011. If you are traveling in a group, we highly recommend that you rent a car/van from Laoag because you can save in cost and time. We stayed at Balay da Blas and they have cars and vans they rent out for day tours. Rate is P2,500 for eight hours (same rate for car and van) plus gasoline. We spent P1,000 gasoline for our day-tour north of Laoag until Patapat Viaduct . Note: The P2,500 rental rate still applies as of January 2014 as confirmed with Balay da Blas.